Yum! This is one of my favorites. I love mushrooms and just about every part of the pig. What to do? 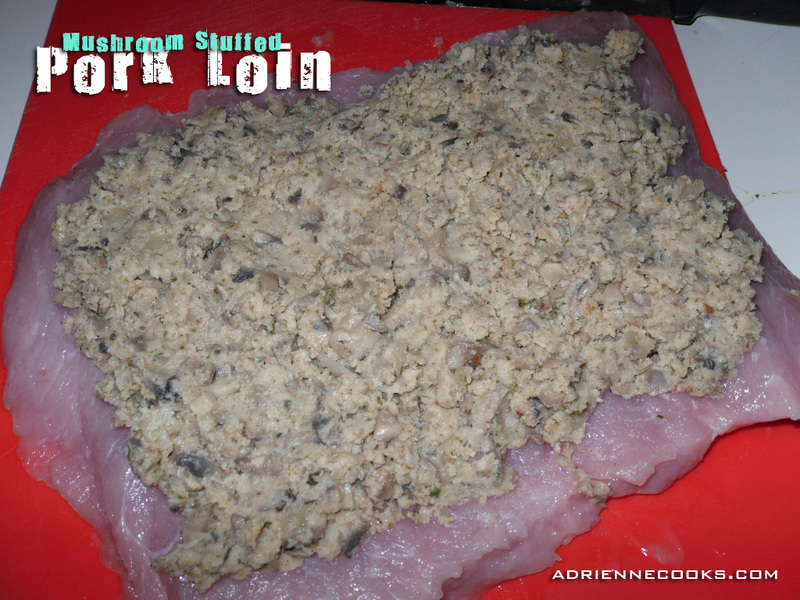 Take some pig and stuff it with mushrooms, bread crumbs & butter. Perfection. I used to be very wary of stuffing anything. Not just because of the effort… but because of the safety warnings. The FDA and Butterball hotline will have you in a tizzy about deadly stuffing if you listen to reports or read anything they publish around US thanksgiving. Just be cautious and cook things till they are done. Easy. No deadly germs! Plus, how else are you going to get these two magnificent flavors together? 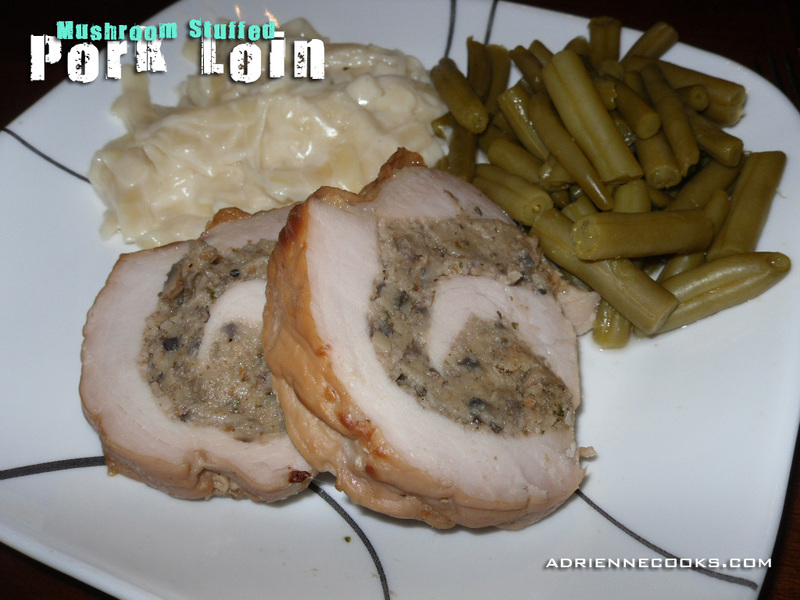 Oh yeah, Mushroom stuffed pork chops! This is a great party dish too, it looks impressive! 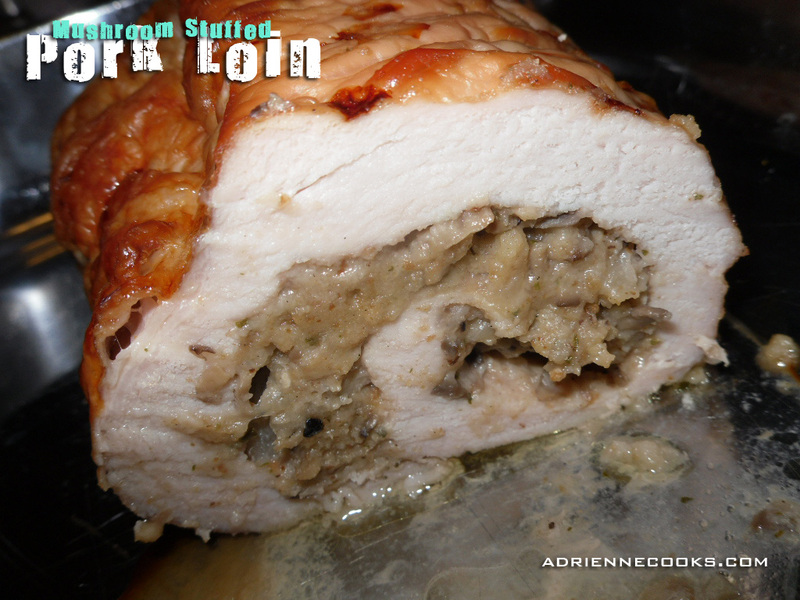 Now I give you: Mushroom Stuffed Pork Loin! The Z cut: what the? Ok, so roulading a cut of meat is always a task, right? Well not any more! 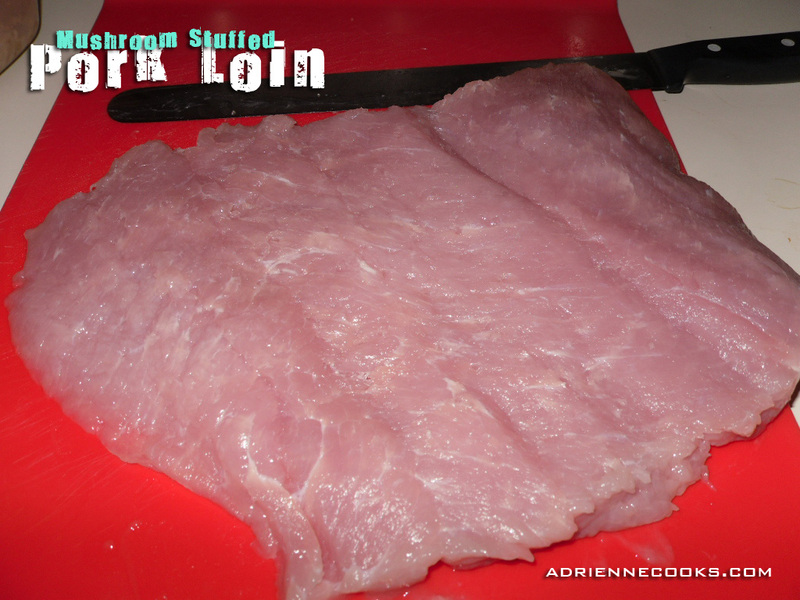 Cut your loin in a “Z” shape. See graphic. Then simply unfold and pound out if you want it flatter. Done! Now, sauté your onions and mushrooms in butter. The onions should be clear and the mushrooms will have given off their liquid. About 10 minutes. Now add the bread crumbs till it forms a moist paste. Add more crumbs as necessary if you had especially watery mushrooms. Don’t get it too dry or it will just crumble away. Spread the filling on the now flat piggy. 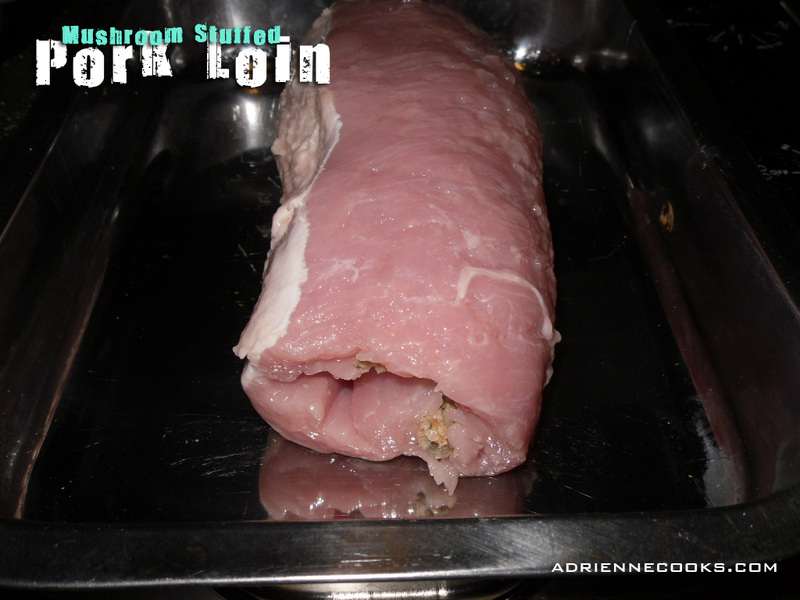 Roll the pork up, see photo. Place the seam down in a baking pan and bake for 45 minutes at 350 degrees. Serve with gravy or cream of mushroom soup and you’ve got a great protein for a super yummy meal. Enjoy! Very pretty! Bet it tastes great too! Oh, thank you so much for this post! 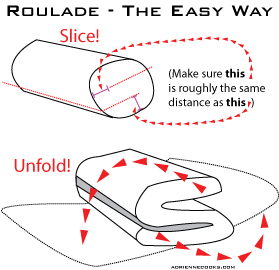 I find the word “roulade” extremely intimidating, let alone the actual act of making one! Now I feel like I might try and won’t have an absolute disaster on my hands 🙂 Pretty pictures too!